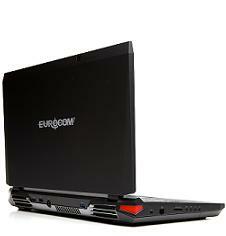 The EUROCOM X8 is one of the most powerful gaming and workstation laptops ever made. Weighing only 4 kg (8.8 lbs), FHD 1920x1080 display and full size backlit keyboard the X8 combines high performance with a small form factor, all in one laptop design. It is a completely upgradeable, fully customizable and extremely flexible all in one design, allowing the X8 to be configured with a plethora of top quality, high performance technology.